SGF Energy AB, announces it’s re-branding into Northvolt AB (as of today). A growing consciousness of the urgency to mitigate the effects of climate change is accelerating the transition to a fossil fuel free society. An increased use of batteries is one of the cornerstones in this transition, enabling massive conversion to sustainable transportation as well as a deep integration of renewable sources in the energy mix. Experts suggest that when the cost of lithium-ion batteries drops below US$100 per kWh, a number of user-sectors will reach an inflection point where storage technologies become competitive. This will quickly lead to a situation where global demand of battery cells is going to outpace existing and planned production capacity. “We foresee a major deficit of lithium ion batteries within a few years, with limited current and planned capacity in place in Europe. There is a market window open. We have a solid business plan in place that enables us to produce high quality batteries at an affordable cost”, says Peter Carlsson, CEO at Northvolt. Northvolt is building the next generation battery factory. Our plan for includes a new concept inspired by the semiconductor industry, focusing on: scale, customized customer solutions, vertical integration and highly controlled manufacturing. The execution is fundamentally different compared to current battery production facilities. Northvolt is dedicated to create a circular system, and has the highest ambitions regarding life cycle management: our approach covers cradle to grave. Building the factory in the Nordic region, given its carbon free power base, will enable us to rely on fossil free energy. “This is a bold, very complex, but rational project. Compared with Asia and the US, Europe is behind in the battery industrialization. With societal ambitions when it comes to growth and sustainability, action is needed. The project resonates commercially, since the demand from automotive and energy storage sectors will be huge ” says Paolo Cerruti, COO of Northvolt. Electrification and renewable energy storage are the keys to a carbon neutral society. Batteries will enable this transition. The auto industry alone will need batteries in huge numbers to replace fossil fuels with electricity. The ability to store energy is also crucial to free the world’s energy generation and distribution from coal, oil and natural gas. Northvolt accelerates this transition by building Europe’s largest battery factory and enabling this inflection point. 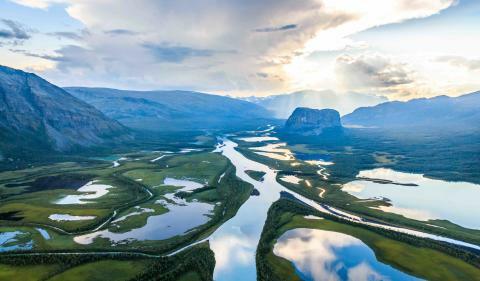 The success of this undertaking is grounded in the unique competencies of the Northvolt team. It comprises senior executives with previous experience in leading positions at Tesla Motors, Sony Ericsson, Panasonic, ABB, Renault-Nissan among other. We’re now recruiting a core team of 30+ world-class experts in Stockholm. In addition, Northvolt has formed a strong governance with advisors that reflect the ambitions and needs of the company. Through Tom Johnstone, Bo Normark, Andreas Regnell, Hans Stråberg and Anders Ullberg, we access outstanding energy- and industrial expertise. Reinhold Geijer and Harald Mix add financial sector expertise, and Anders Kempe, Diego Pavía and Anders Sundström add insights and experiences from European and Swedish politics and policy making. Funding agreements from companies and organizations such as Stena, Vattenfall, InnoEnergy (European innovation ecosystem for sustainable energy), The Swedish Energy Agency, Vinnova (Sweden’s innovation agency) and are in place. This support, together with private investments by the founders, lays the foundation for the first phase. Additional external funding will be needed at a later stage. The 32+ GWh production site will require a €4+ Bn investment over a period of six years. Our aim is to start construction in the second part of 2018 to enable volume manufacturing by the end of 2020. “We have a bold and ambitious business plan in place and I’m extremely happy with the strong support we’ve got so far from both the public and the private sector, including organizations like Stena, Vattenfall, InnoEnergy, The Swedish Energy Agency and Vinnova.” says Peter Carlsson. 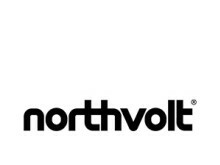 Northvolt is currently focusing on building the team and technical partnerships; detailing a blueprint for product processes and building customer partnerships. The company has, in collaboration with Business Sweden, initiated the site-selection process. Northvolt’s ambition is to decide where the factory will be built during mid-2017. For the region selected for the construction, this is a unique opportunity to develop an innovative industry cluster of expertise around batteries and energy storage. A wide range of conditions are considered in the site-selection process. Northvolt is only considering municipalities that can offer sites with at least 500 000-700 000 m2 ready for ground preparation with a complete industrial zoning permit in place. Power supply to the site must have an exceptionally strong grid connection.